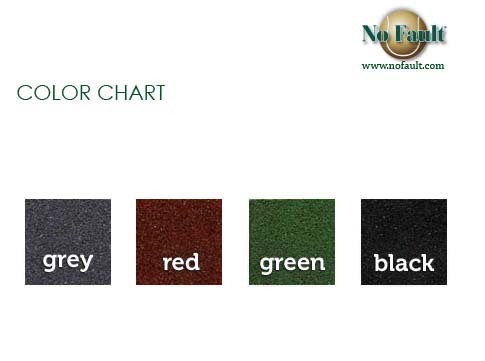 No Fault Safety Tiles are manufactured in the USA utilizing 100% environmentally sustainable recycled rubber, engineered exclusively to reduce the risk of serious injury associated with falls from playground equipment. The dense recycled rubber composition enables easy daily maintenance and provides a clean, safe alternative to loose fill products such as wood mulch, sand or pea gravel. 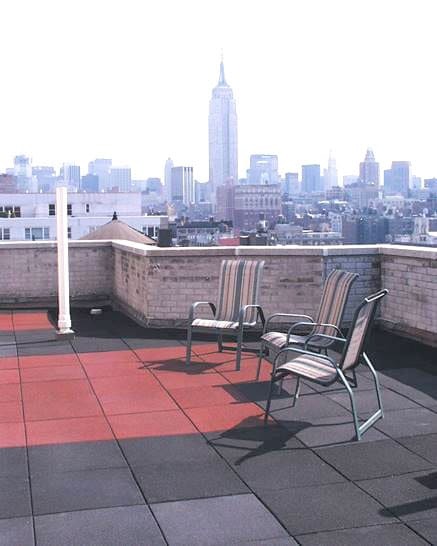 No Fault Safety Tiles are available in traditional PIGMENTED colors with a 10 year warranty, or the increasingly popular ULTRA color choices with the industry’s ONLY 15 year warranty! All tiles have matching components for transitions, corners and ADA accessibility. 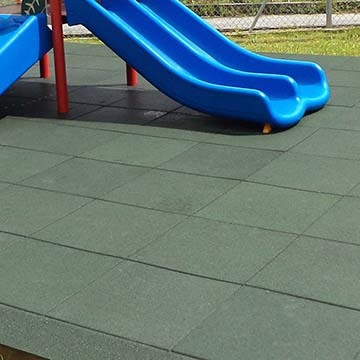 No Fault Safety Tiles are an excellent choice for new or renovated playgrounds offering easy installation, low maintenance and superior performance. color options and custom designs.